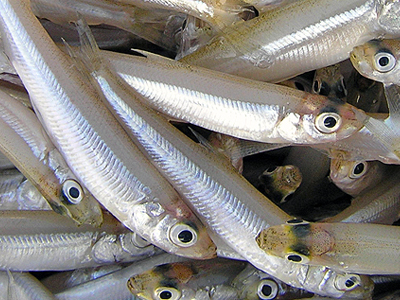 Located beside Lake Yamanaka, you can hire many types of boats for fishing here. They have several types of boat according to the number of person of your group and boating types. The renting fee differs from boat to boat. 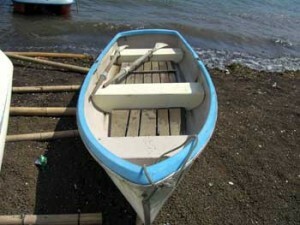 For example, a foyboat for two people is 3,500 Yen (500 Yen discount on reservation advance by e-mail). 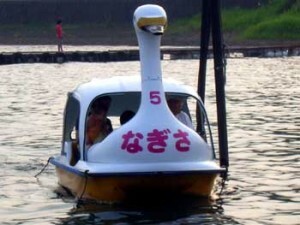 If you want to rent a boat juts for rowing, the price is 1,000 Yen for 2 people per one hour. 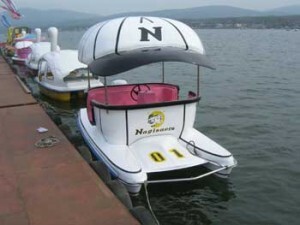 A special motor boat for three people is 30,000 Yen (1,000 Yen discount on reservation advance by e-mail). A motor boat which does not require licence for two people is 11,000 yen (1,000 Yen discount on reservation advance by e-mail). 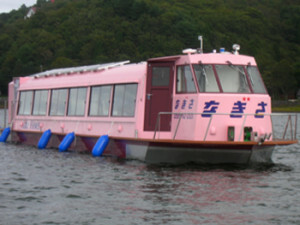 If you don’t want to row or drive your own boat for fishing, our suggestion is to get on Fishing House Nagisa’s original dome type smelt fishing ship, ‘Lake Flower’ which has 48 inch TV, microwave oven, hot water dispenser, coffee maker and Karaoke inside the ship all for you to use while you enjoy your fishing! Going on board, you won’t have to freeze to fish nor you won’t have to get bored for you can enjoy singing Karaoke while you wait the fish to bite. Toilet is also avaliable on the ship. The fee of the ship is 4,000 Yen per person. There is no certain timetable for the ship, you can go on board whenever you arrive during their business hours. For fishing equipment, there is a reasonable equipment and lunch together set. ‘Tebura Set (hands-free set)” is the name of this valuable price pack which includes a fishing rod, two packets of bait, a hook rig, and a boxed lunch for you to eat on the Lake. 7,500 Yen each (700 Yen discount on reservation advance by e-mail). For those who are NOT interested in fishing, you can rent a leisure boat, ‘Swan boat’ and ‘Cup boat’ for all season (2,000 Yen for 3 people, per 30 minutes), ‘Banana boat’ (2,000 Yen per 15 minutes, including life jacket and wet suit) in summer. They also rent out bicycles for you to explore around the lake for 700 Yen an hour. They rent out tennis courts, 2,500 Yen per hour (without balls and rackets). Racket rental and balls are available. ** All photos except top photo are from Fishing House Nagisa Official Site. 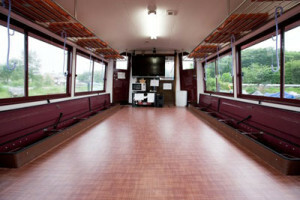 Address : 1466 Yamanaka, Yamanaka-ko-mura, Minamitsuru-gun, Yamanashi Pref. E-mail : Temporary unavailable. Please phone.